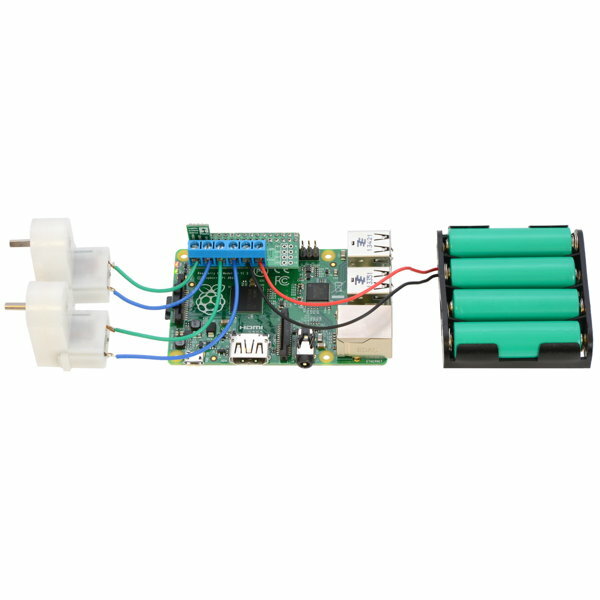 This DRV8835 Dual Motor Driver plugs directly into the Raspberry Pi 40 pin GPIO header to drive two DC motors at up to 1.2A. This tiny motor driver module makes it easy to drive two small DC motors from your Raspberry Pi microcontroller. The speed and direction of each motor can be controlled independently. 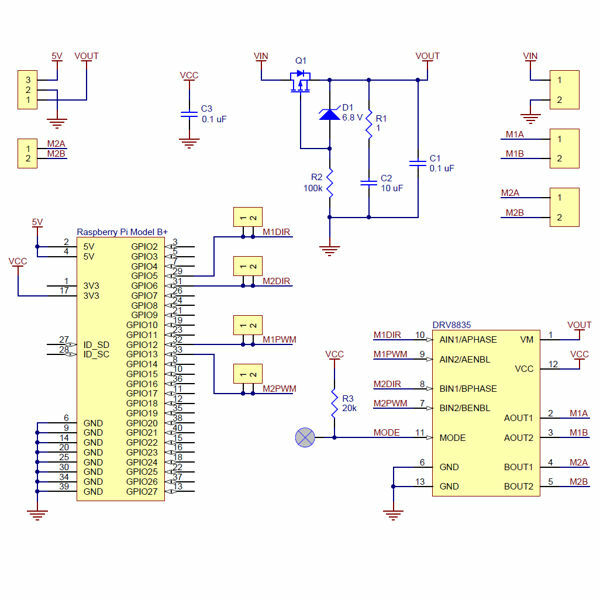 The DRV8835 Dual Motor Driver for attaches directly onto the Raspberry Pi 40 pin GPIO header. It uses four digital GPIO output pins to control two motors. 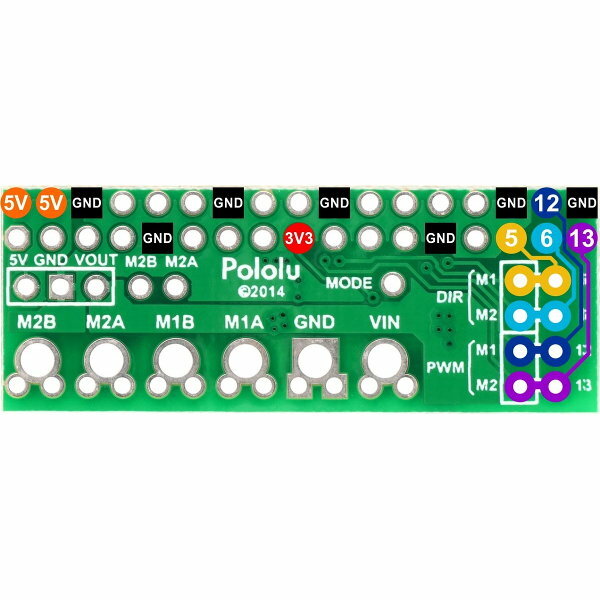 GPIO outputs 5 and 12 are used to control one motor and GPIO outputs 6 and 13 are used to the other motor. Each motor channel uses a digital output pin the select the motor direction and a PWM Pulse Code Modulation pin to adjust the motor speed. This motor driver supports DC motors with operating voltages from 1.5V to 11V and can deliver up to 1.2A of continuous current to each motor. Motor channels can be wired together to control a single motor with up to 2.4A of continuous current. The driver features under voltage lockout and over current and temperature protection. It supports PWM frequencies as high as 250 kHz for quieter motor operation. 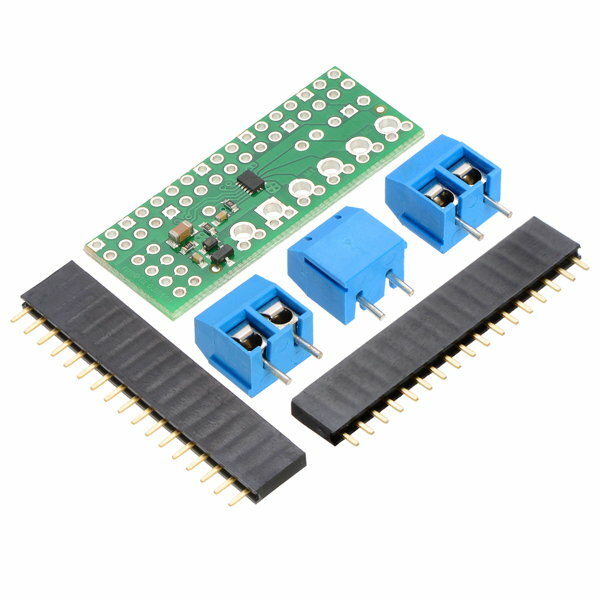 The DRV8835 Dual Motor Driver Kit for Raspberry Pi comes with a set of GPIO pins and optional output screw terminals that require soldering. A handy Python library is available to simplify programming. 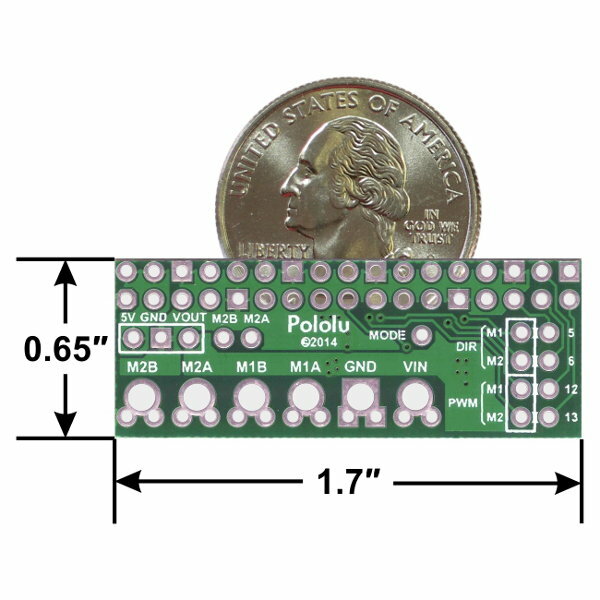 This board is compatible with Raspberry Pi Model B+, Pi A+, Pi 2 and Pi 3. 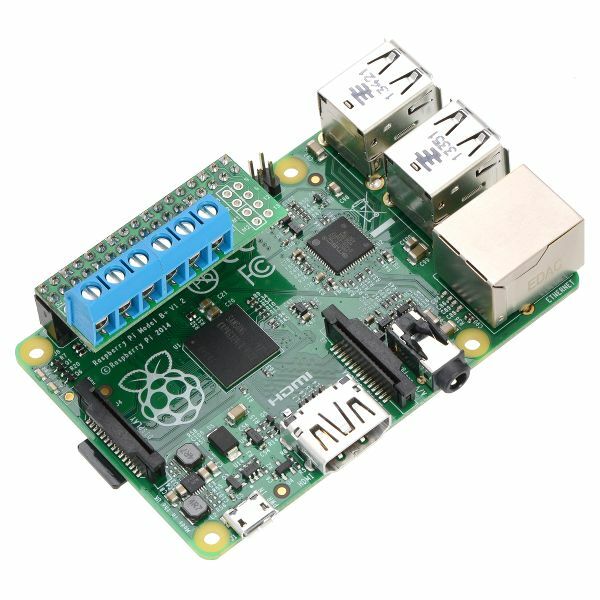 Older Raspberry Pi models are not supported.